Have you heard about the tribe inhabiting The Sentinelese? North Sentinel Island is one of the Andaman Islands in the Bay of Bengal. It is home to the Sentinels, a small tribe who is noted for vigorously resisting attempts of contact by outsiders and has inhabited the island for thousands of years. The island is completely untouched by modern civilization and its inhabitants kill any outsiders who try to get too close to their land. No one has ever gone or left this island without fleeing immediately or being slaughtered by the Sentinelese upon arrival. They drive off fishermen, journalists, anthropologists and government officials with their spears and arrows. ORIGIN: They are said to be directly descended from the first human populations to emerge from Africa, and have probably lived in the Andaman Islands for up to 60,000 years. 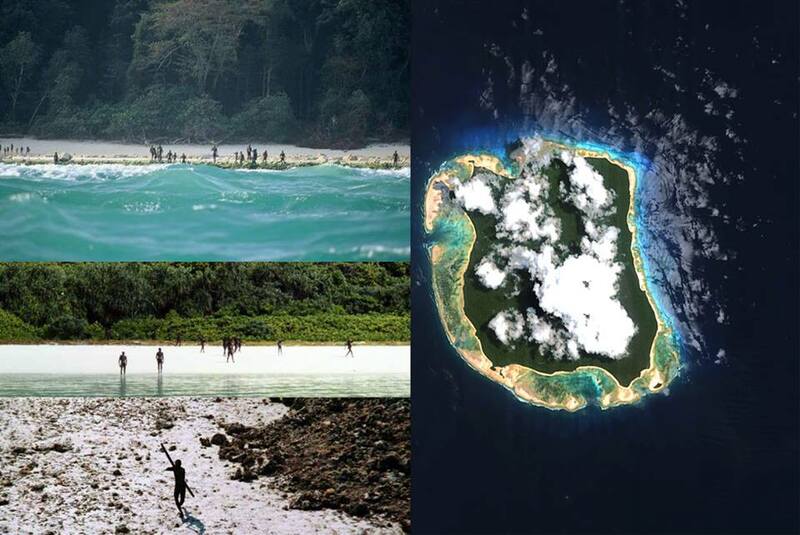 Possibly no other people on this earth are as isolated, as the Sentinelese. Their present numbers are estimated to be anywhere between 50 and 400 individual. The 28 square mile island is roughly the size of Manhattan and is low-lying, heavily forested and protected by a barrier of coral reefs. The fact that their language is so different even from other Andaman islanders suggests that they have had little or no contact with the other people for thousands of years. The Sentinelese maintain an essentially hunter-gathering society, obtaining their subsistence through hunting, fishing, and collecting wild plants; there is no evidence of any agricultural practices.